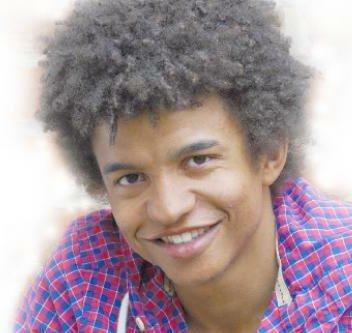 Booking Radzi Chinyanganya will go down a storm at your special event! We are a booking agent for Radzi Chinyanganya, and can arrange for him to entertain your guests. 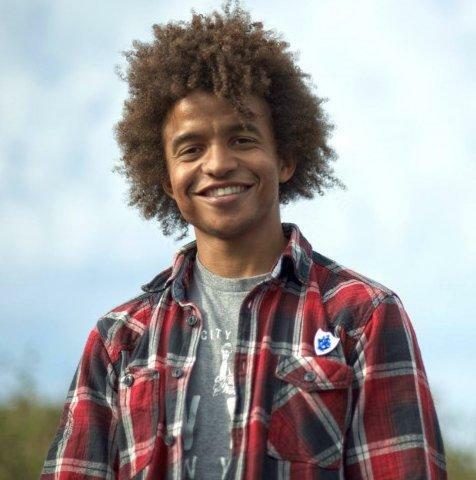 2013 was a very exciting year for Radzi Chinyanganya; following a summer of co-presenting Wild on CBBC live every Saturday morning, Radzi was announced as Helen Skelton’s successor on Blue Peter. He has joined the show alongside current presenter Barney Harwood and the winner of Blue Peter – You Decide, Lindsey Russell. An energetic, fun, and engaging presenter, Radzi Chinyanganya loves to entertain and fully embraces the thrill of live recording. This has come across during his hosting of a number of corporate events including the Great City Games in Manchester, BUPA Great North Run and the Great London Swim. A screen test at the 02 Arena in front of over five thousand people secured Radzi’s selection as the official weightlifting presenter at the London 2012 Olympic Games. In this role Radzi Chinyanganya hosted the weightlifting tournaments in front of a seven thousand strong crowd, spoke on stage at the Excel Arena, interviewed athletes, introduced the weight categories and entertained the crowd. Shortly afterwards, he got invited back to present at the London 2012 Paralympic Games as well. After being selected to attend Kiss FM’s Presenter Academy, Radzi Chinyanganya spent part of his summer working as an online reporter for the Bauer Media radio station. Loving every minute of it, he interviewed artists and the public at large as well as getting to sample some of the best Olympic entertainment on offer in London. In 2008 Radzi Chinyanganya was a contender on Sky One’s Gladiators, reaching the semi-finals, Radzi was the only contender in history to attempt the Eliminator wearing a swimming cap! 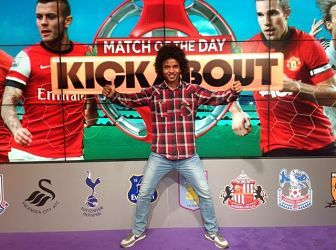 Radzi Chinyanganya has always been passionate about sport. He graduated from Loughborough University and went on to compete at a national level in karate and more recently achieving a top ten finish at 2011 GB Skeleton Bobsleigh Trials. It was while at Loughborough that Radzi discovered presenting, working on both the university’s radio station and television channel. From testing a 2⁰C ice bath, covering himself in foam and interviewing the likes of DJ Tim Westwood and the World’s Strongest Man, Brian Shawl, Radzi will do it all in the name of television! With a Scottish Mother and a Zimbabwean Father, Radzi Chinyanganya grew up on an eclectic mix of music. The Eurhythmics, Whitney Houston, Queen, Michael Jackson as well as the Shona music of Thomas Mapfumu and Oliver Mtukudzi were all played in his house. A passion for language gravitated Radzi towards a genre which is now a constant staple in his music diet, hip-hop. Radzi’s colourful family background, with its mixed cultures and traditions is also the source of his intrigue into personal identity and what it means to be British. 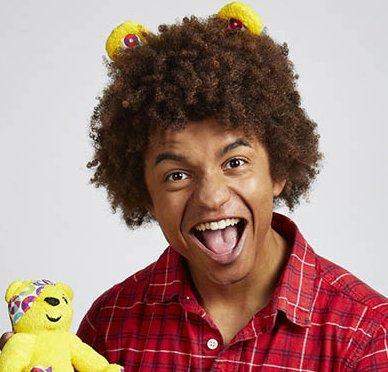 This fascination has fed Radzi’s growing interest in both current affairs and politics and most recently, Radzi Chinyanganya has filmed ‘Your Body: Your Image’ a BBC Two educational series focusing on body image in schools. Contraband is the UK’s top booking agent, with amicable, experienced account managers who guarantee you the best deal possible. Contact us today if you would like to book Radzi Chinyanganya to be the headline of your event! We as your booking agent are more than happy to help you create the most memorable moments with Radzi Chinyanganya. It was great working with Radzi last year and we would love to have him back on some of our events again this year.